Threshold ramps are used for height obstructions such as sliding glass doors which have a lower track that prevents wheeled transport devices such as scooters and wheelchairs from crossing over them. Threshold ramps are easy to install and are a bargain-priced solution to making your home or business more accessible for disabled persons. 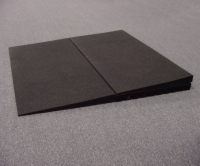 These ramps are available in metal or rubber and are surfaced to provide adequate traction for all wheelchair and scooter users. 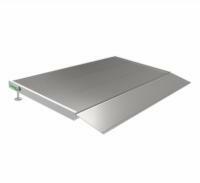 Need assistance in choosing the right ramp for your needs? Contact our mobility experts at 1 (800) 470-8940.